A classic staple in any bar or lounge, a cocktail shaker is one piece of barware that can easily add a touch of class and entertainment to customers' experience while providing an important function. This 26-oz. 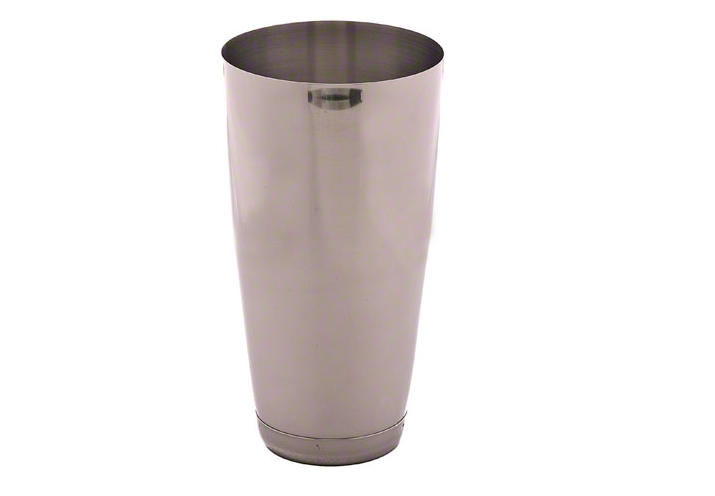 1-piece stainless steel shaker cup will serve up martinis in a flash. Professional bartenders general prefer a Boston-style shaker because they can easily see the ingredients within the glass, are easier to clean and, with practice, are much faster at mixing drinks.